FINAL DECISION: The most traditional romance of the Spymasters series, Severine and Raoul’s story is filled with intrigue, danger, violence and great romanticism. If this is the last of the Spymasters, it allows readers one long lingering goodbye. THE STORY: Severine de Cabrillac, an orphan of Revolutionary France and previously a member of British Intelligence spends her post war years solving crimes around London. Late one night, a man breaks into her home seeking information about his murdered wife and her missing twelve year old daughter. Raoul Deverney has come to Severine because she is one of the few clues he has. When he seeks Severine’s help in discovering the truth about his wife’s murder, the two engage in a dance of secrets and unwanted passions. OPINION: This book felt more like a traditional romance that the more recent books in this series which sometimes felt like historical fiction because of the depth of the historical context and the darkness in the book. This book feels more traditional because the focus of the book is on London and while there is political intrigue, the focus really feels personal as the story revolves around Raoul’s murdered wife and missing daughter. Without being obvious or maudlin, this book serves as a wonderful conclusion to the series as we are treated to a great deal of time with the most recent heroes in the series. We get to see the whole gang working together one more time. Severine is a woman who is strong and has made her own path. The younger sister of Juntine (BLACK HAWK) and the adopted daughter of William Doyle (THE FORBIDDEN ROSE), she has grown up among the spies and intrigues of Meek Street. Determined to avoid being protected by those same men, she ran off to Spain during the War in order to work with British Military Intelligence. That experience left the expected scars on her both physically and emotionally. Now that the war has ended, she has made a life for herself solving crimes in London — especially those where people are falsely accused. (But she still has a hand in with her family’s business). Raoul is a man searching for the murderer of his estranged wife and her missing daughter. He also has a great many secrets (which I won’t reveal because that is part of the story). He is sophisticate and incredibly dangerous as Severine recognizes from the start. He is also an incredibly romantic character which I really liked because he is so different from the other heroes in this series. 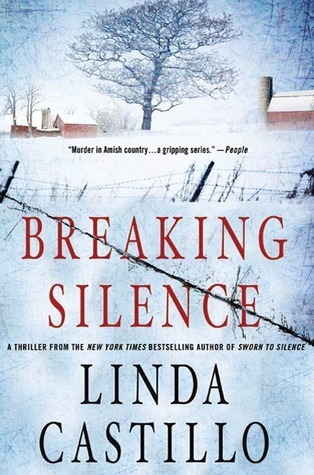 The story in this book maintains the grittiness of the series, but isn’t quite as dark. In fact, there is some sweetness to the romance that I wasn’t expecting but really enjoyed. Bourne has stated that this is the last of the Spymasters series. I believe this series was incredibly unique and I will miss the characters. If this is the end, I think that it was a wonderful opportunity to visit old friends again and wrap up things. WORTH MENTIONING: Lots of appearances here by the men of the series, but not the women. CONNECTED BOOKS: BEAUTY LIKE THE NIGHT is the sixth book in the Spymasters series. This story stands on its own, but the characters from prior books make significant appearances. 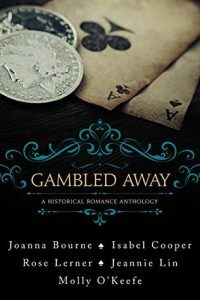 This is an anthology of five historical romance novellas all with a connection to gambling. I found the collection uneven but I decided on a 4 rating because I absolutely loved two of the stories, and liked one. ALL OR NOTHING by Rose Lerner: A regency romance, in this story Simon Radcliffe- Gould is an architect who needs someone to pose as his mistress so that he can get work done at a scandalous house party and allow him to avoid a former lover. Maggie da Silva is in charge of a gambling den and wants Simon so she arranges to lose her favors to him one evening. She is happy to be his mistress but suffers some disappointment when she realizes he only wants her to pretend. I honestly thought this novella was a bit of a mess. There were too many issues: Simon has a former male lover who still wants him and Simon hasn’t dealt with his feelings either; Maggie is Jewish and is just discovering her own heritage that was suppressed in her family; Maggie’s friend with benefit and partner is off threatening their relationship and business; Maggie has a bad reputation and thus when Simon begins to think of a future with her, he knows his family will reject her. For me, there was just too much going on in this book to be satisfying. In addition, any romance that ends like a potential business deal rather than emotion isn’t satisfying. There isn’t really chemistry between Simon (who seems more emotionally connected with his friend and former lover) and Maggie. When Simon says in essence “I’ve been in love before and if things don’t work out, I will probably be in love again” it just doesn’t make me interested in the story of these two. Rating: 1.5 stars. THE LIAR’S DICE by Jeannie Lin: The book takes place during the Tang Dynasty in China. Lady Bai dreams of freedom from her role as an obedient daughter. Dressing in men’s clothing she visits a public tea garden where she witnesses a murder. A man she met there, Gao helps her investigate the crime where she confronts the possibility of her own brother’s involvement. This is a story that I should not have liked. More mystery than anything, the heroine and “hero” spend only a little time together. This is not a romance is a classical sense and I’m not even sure if it has a happy ending. Despite or maybe because of this, I really loved this story. Unique and fascinating because the heroine has a strength and determination that transcends the normal romantic desires. The historical period is not one normally written about in the romance genre so I found it intriguing. The reactions and concerns of the characters felt real and well grounded in historical fact. I haven’t read the other books in the series, but I certainly will after reading this one. Warning: not a traditional HEA. Rating: 4.5 stars. RAISING THE STAKES by Isabel Cooper: This book takes place in California during the 1930s. Sam is a survivor who cheats or plays cards of does whatever needs to be done in order to help her family back home. She wins a flute in a card game which ends up summoning an elven warrior, Talathan. 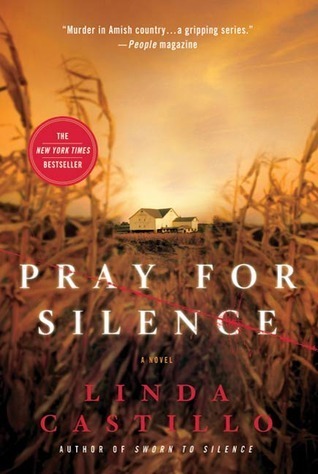 Sam decides to use Talathan’s abilities to help her swindle a crooked preacher in order to save her family’s farm. This story suffers from its short length. There are just too many questions that remain and these characters are not investigated enough to make this a satisfying read for me. The introduction of Talathan as an elf raises the question of who are his people and why is he there. I think if this was a longer story, the characters and situation have the possibility of being a really interesting story. As it is, I was left wanting more. Rating: 2.5 stars. REDEEMED by Molly O’Keefe: James Madison is a former Union doctor during the Civil War who has struggled since the war and what he saw. His reaction has made him lose faith in himself and separated him from his work and those around him. One night he ends up meeting Helen Winters who is being kept to sing in a birdcage. Whether she is a captive or something else is going on is something that James can’t seem to put aside. This story is complicated and dark in many ways. The story captures the mood after the Civil War with bitter divisions remaining. Addiction, PTSD, grief, anger, desperation are all dealt with here in a raw and open manner. I especially loved how James and Helen acknowledge that their needs have the possibility of being the reason these two are attracted to one another — desperation and need rather than love. Never fear, however, because there is a happy ending that felt realistic and satisfying. Rating: 4 stars. GIDEON AND THE DEN OF THIEVES by Joanna Bourne: Georgian romance that takes place in London. Gideon Gage has traveled the world making his fortune and has returned to London to face the thieving gang and Lazarus, its crime lord, that has kidnapped his sister. During his quest, he meets Aimee Beauclerc, one of the gang. Aimee fled from her home during the French Revolution and ended up being sold to Lazarus. She now appraises stolen goods. She agrees to help Gideon with his sister in order to protect her friends who are members of the gang from the man who is attempting to take Lazarus’s place. I was amazed at how much detail, character development and plotline Bourne manages to get into this novella while making the story comprehensible and satisfying. Fans of her Spymaster series will get appearances by some of the characters from the other novels. (Hawker! Hawker! Hawker!). At the same time, this book can be read completely on its own without needing information about those characters. I love how Bourne depicts characters with damage and flaws and shows them worthy of love. This is combined with a unparalleled sense of place that is different from almost every other romance out there. Rating: 4.5 stars.